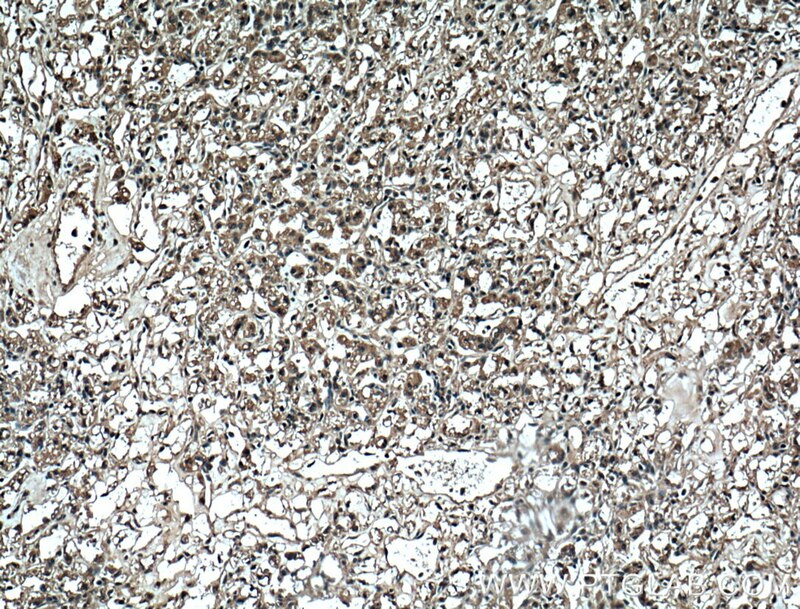 Immunohistochemical analysis of paraffin-embedded human renal cell carcinoma tissue slide using 60340-1-Ig( ADRP Antibody) at dilution of 1:200 (under 10x lens). heat mediated antigen retrieved with Tris-EDTA buffer(pH9). 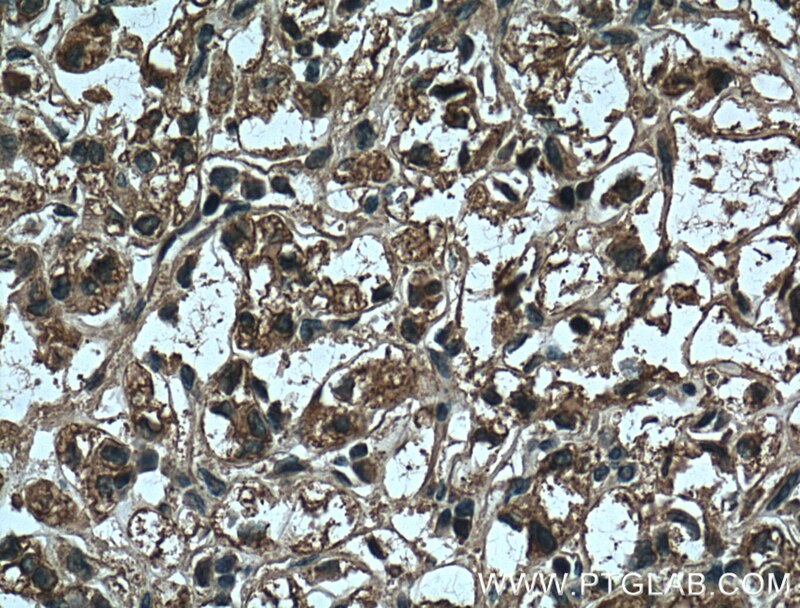 Immunohistochemical analysis of paraffin-embedded human renal cell carcinoma tissue slide using 60340-1-Ig( ADRP Antibody) at dilution of 1:200 (under 40x lens). heat mediated antigen retrieved with Tris-EDTA buffer(pH9). ADRP (adipocyte differentiation related protein) also known as ADFP, adipophilin, or perilipin-2, is a member of PAT family which is responsible for the transportation of lipids and the formation of lipid droplets. ADRP is localized on the surface of lipid droplets in a variety of tissues and cell lines. ADRP is not detected in undifferentiated cells but increases rapidly to high levels when adipocyte precursors differentiate into adipocytes. Anti-ADRP antibody is a reliable and sensitive marker for lipid droplet. Enhanced expression of ADRP is linked to diseases with abnormal lipid storage, including hepatic steatosis, atherosclerosis and diabetes. Immunohistochemistry of ADRP may facilitate histomorphological diagnosis of these diseases.